The stories that private landowners tell me often reflect a land ethic with diverse roots. These stories draw from their experiences with family, or from time spent gardening, farming, or hunting, and they nearly always reveal an appreciation of the natural world. Many first-time landowners develop a new awareness of their surroundings. Owning land can facilitate an unintentional, yet intensive, self-study of a person’s place, whether it is their yard in the city or 20 acres in the country. Quite often this awareness includes the birds that are singing melodies in the early hours of the day, and it directs attention to the seasons, marked by the arrival of brightly colored birds and then marked again by their all too sudden departure. The combination of understanding and appreciating a piece of land can lead to conservation actions, both small and large. 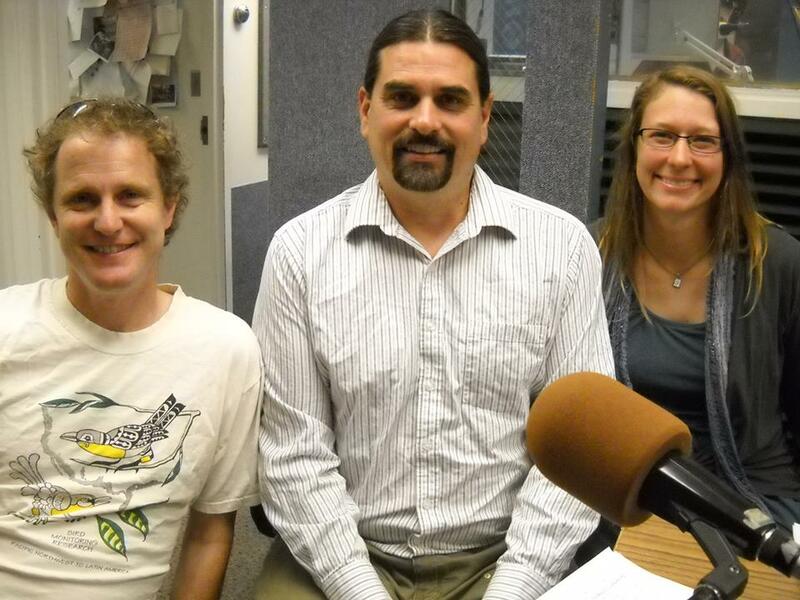 Klamath Bird Observatory works with private landowners to encourage bird-friendly practices. Working with our partners, we also guide and assess restoration on private lands. We use birds as indicators of the health of the environment because they are diverse and individual species represent specific ecological conditions. Similarly to each individual landowner, each bird species has its own story to tell. By listening to those stories we can learn about the quality of the habitats that birds inhabit and identify restoration actions that can improve the health of the land. For private landowners considering restoration of their land, understanding the existing and potential future bird community is a good way to grasp the ecological changes that are possible through restoration. Recently, KBO has been working with a number of landowners who are implementing oak restoration. When we visit lands prior to restoration, the bird community we hear tells us about the current habitat characteristics. For example, in a mixed-conifer forest with an oak component we will detect a mixture of birds that prefer both conifers and oaks, or sometimes only conifer-associated birds, such as Red-breasted Nuthatch, Spotted Towhee, Hermit Warbler, and Pacific-slope Flycatcher. If a landowner’s goal is to restore the historic oak woodland, we would expect to see a dramatic shift in the bird community after restoration, to bird species such as White-breasted Nuthatch, California Towhee, Black-throated Gray Warbler, and Ash-throated Flycatcher. After learning to identify some of the common birds, landowners begin to see the links between birds and their habitats, and also the possibilities for their land. The Rotary Foundation and Rotary District 5110 of Oregon and northern California have awarded a Humanitarian Grant of $12,000 to fund an international capacity building project to be implemented in partnership with San Pancho Bird Observatory in Mexico and Ashland-based Klamath Bird Observatory. The Rotary Club of Ashland, collaborating with the Jaltemba Bay Rotary Club of Mexico and supported by Shasta Valley, Bend High Desert, and Cottage Grove Rotary Clubs of District 5110, initially promoted this project and provided the funding required to receive matching awards from Rotary District 5110 and The Rotary Foundation. This grant will allow the implementation and completion of a project focused on bird conservation and sustainable community development in western Mexico. This project builds on Klamath Bird Observatory’s successful model of developing professional, economic, educational, and conservation capacities in Latin American and Caribbean countries through a grassroots science-based approach to international migratory bird conservation. A growing tourism industry along the Nayarit coast in Mexico offers low-paying employment that draws Mexican youth out of rural communities where there are fewer career options. Away from their families, these youth become easy recruits into prostitution and drug mafias, leading to the disintegration of social structure. Furthermore, existing tourism projects cause habitat loss that can result in population declines of resident and migratory birds. San Pancho Bird Observatory will use grant funds to build local capacity for careers in science and ecotourism that can benefit communities, maintain social structure, and protect natural resources of global significance. With support from Klamath Bird Observatory, San Pancho Bird Observatory will train 20 Mexican participants on the science of monitoring bird populations during a two-week workshop in the Pacific State of Nayarit. Workshop participants will then return to their respective communities and develop bird monitoring programs that collectively track the health of Mexican bird populations in the region. Additionally, San Pancho Bird Observatory will offer community education programs in at least six coastal villages to inspire an appreciation for birds and build capacity for birdwatching-based tourism. San Pancho Bird Observatory will also strengthen the connections among coastal Nayarit communities to create networks for support and information exchange related to sustainable development. Click here to access a PDF of this press release. From left to right: John Alexander (KBO), Marko Bey (Lomakatsi Restoration Project), and Jaime Stephens (KBO). This article is the fourth installment in the series Achieving Partners in Flight Strategic Goals and Objectives. Partners in Flight’s ability to support full life cycle conservation and direct bird conservation resources toward the highest priority needs requires detailed information about bird populations. Constant effort mist netting and bird banding is a demographic monitoring technique that provides this needed information through data that can be used to quantify two important drivers of population change: reproductive success and survival. Such data help us understand where birds are most threatened within their life cycle. If reproductive success is low, then conservation on the breeding grounds might be effective in reversing declines. Low survival might instead require increased conservation efforts in migration corridors or on wintering grounds. There is a need for increased capacity in demographic monitoring throughout the Americas. To meet this need Klamath Bird Observatory provides banding workshops in a variety of international arenas. 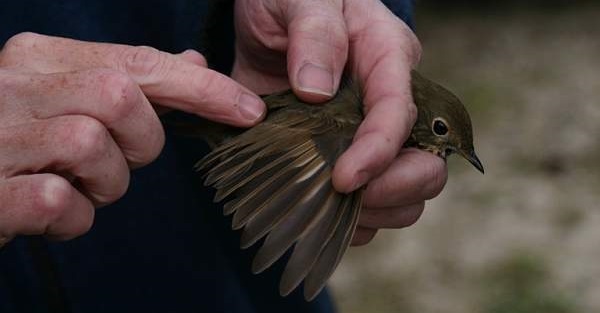 In August 2012, we teamed up with the North American Ornithological Conference scientific committee, the Canadian Wildlife Service, the North American Banding Council, and Iona Island Bird Observatory to offer an intensive banding workshop in Vancouver, British Columbia. Participants from Canada, the US, Mexico, Colombia, and Puerto Rico learned about bird identification, ageing and sexing techniques, safe handling procedures, and safe mist net use among other topics during this four day course. For more information about KBO’s banding workshops visit our website page about science training. This article is the second installment in the series Achieving Partners in Flight Strategic Goals and Objectives. One of Partners in Flights strategic goals is to increase capacity to support full life cycle conservation. To do this we must maintain and expand the scientific foundation for full life cycle conservation by completing climate change species vulnerability assessments to support the work of Landscape Conservation Cooperatives and other groups and initiatives. Landscape Conservation Cooperatives facilitate large-scaled collaborations that take a science-based approach to meet natural resource management needs within the context of global climate change. In partnership with the North Pacific Landscape Conservation Cooperatives and many partners, the Klamath Bird Observatory, PRBO Conservation Science, and American Bird Conservancy developed a tool to inform management about the effects of climate change on bird species found in Western Washington, Oregon, and California. This tools allows users to (1) view spatially explicit projections of climate change impacts to 26 bird species, (2) explore regions of high conservation priority, (3) analyze changes in bird habitat and bird communities, (4) identify new monitoring locations which can improve our understanding of climate change impacts, and (5) Download our model results to use for additional analyses. To view this tool visit Avian Knowledge Northwest (www.AvianKnowledgeNorthwest.net) and follow the links to “North Pacific Modeling”. The Partners in Flight International Bird Conservation Initiative has a strategic action plan with broad goals and objectives that capture the huge array of actions necessary to achieve landbird conservation. This plan also identifies specific tasks to be achieved within the next three years. Working within Partners in Flight, Klamath Bird Observatory is collaborating to meet the goals and objectives identified by Partners in Flight. As we make progress, I will be posting a series of blogs that report on our achievements and further outline Partners in Flight’s strategic goals and objectives.